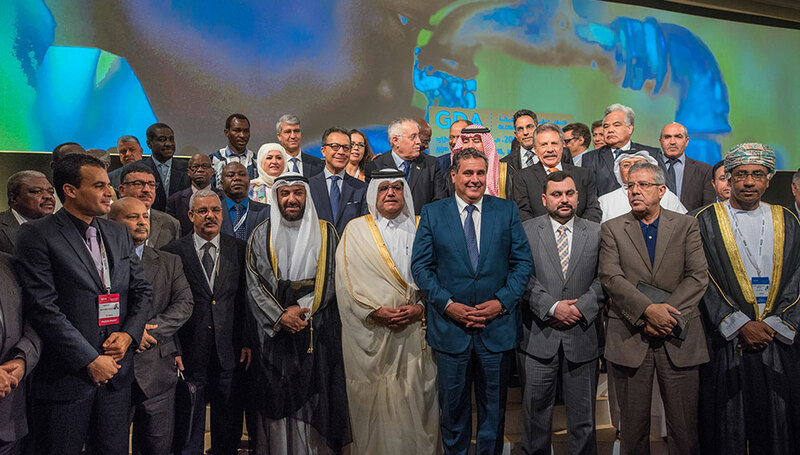 The Global Dryland Alliance (GDA) has hosted a ministerial conference in Marrakesh on May 29-30, 2015 to discuss food security challenges in the presence of 14 potential Member States including Qatar, Morocco, Kuwait, Oman, UAE, Jordan, Iraq, Mauritania, Tunisia, Algeria, Mexico, Senegal, Chad, Niger, Burkina Faso, Tanzania, Egypt, Bahrain, and Kazakhstan. The conference was attended by representatives of UN agencies, the Islamic Development Bank (IDB), the Asian Development Bank (ADB), the World Food Program, Food and Agriculture Organization, and the International Fund for Agricultural Development (IFAD). Ministers have discussed their countries’ experiences on the implementation of food security and experts have debated the details of the GDA foundation treaty and the innovative financing mechanisms proposed by the Alliance. Al Humaidi said that according to FAO projections, natural disasters will be on the rise and there will be water scarcity in arid and semi-arid regions, not to mention the deterioration of arable lands that leads annually to a loss of 20 million tons of cereals. He also expressed his concerns calling upon dryland nations to enhance their cooperative efforts and diagnose the problems turning risks into promising opportunities. Idriss said that desertification is a global concern and Morocco has experienced through drought and rain scarcity. This impose proactive measures leading to effective strategies in order to attain water sustainability. He added that climate change require global strategies and sustainable resources calling for cooperation among the countries of the South to face climate negative repercussions mainly in Africa. The Kuwaiti Oil Minister, H.E Ali Saleh Al Ameir expressed his hope that the conference will achieve its goals and meet the ambitions of drylands populations. He praised the initiative of H.H the Emir of Qatar to establish an Alliance combining all efforts in order to help countries overcome agricultural obstacles and provide basic food needs, then shape strategies and policies that guarantee proper management of natural resources in agriculture, animal production, and combating drought and desertification, as well as the management of agricultural projects using the latest techniques in irrigation and natural pastures. Al Ameir reiterated Kuwait’s support to the Alliance in order to achieve its noble cause. In his welcome speech, the GDA Executive Director, Ambassador Bader Al Dafa spoke of the reasons behind establishing the Alliance: increase of the world’s population of 200000 every day, rising temperature of the planet’s surface, and climate change, which make it difficult to meet food demands. “FAO reported that global food production must increase by 70% in the year 2050”, he said. Al Dafa said dryland nations will be more vulnerable to food crises and if agriculture have contributed partly to food security, climate change and population increase will be the main challenge in the present and the future. “Marrakesh Conference is focusing on food security in lands inhabited by 30% of the world’s population that face severe drought, desertification, poverty and hunger”, Al Dafa said. “GDA’s vision is to make drylands more food secure which enhances security and peace in the world. The Alliance’s mission is to cooperate with local, regional and international partners to identify and disseminate solutions to face challenges related to agriculture, water, and energy in dryland countries. The opening session was concluded by the remarks of the Islamic Development Bank President, Dr. Ahmad Mohamed Ali Al Madani, who expressed the bank’s full support to the Alliance and its willingness to fund future projects. “This conference is a serious and honest call to strengthen cooperation and face challenges”, IDB Chief said. Al Madani added that discussion must focus on required funds for the Alliance’s projects and programs to face infrastructure challenges in dryland regions, as well as economic empowerment and support of small landholders to enhance their productions capacities and link them to markets which help them to face dryland challenges.